Jackson Hole is the basecamp for the bulk of this trip, with time in the town of Jackson and time in the heart of Grand Teton National Park. There’s never a loss for things to do in this resort and national park destination. Natural beauty beckons you to hike trails, float the Snake River, picnic beside lakes, ride horses, mountain bike, take a tram to the top of the Tetons, rise early for a hot air balloon trip, attend a rodeo, eat at a chuckwagon, swim, and paddle—always on the lookout for wildlife! Yellowstone National Park is fascinating for all ages, with its never-a-dull-moment bubbling mudpots, steaming geysers, smoking fumeroles, and wildlife galore. A naturalist guided outing always adds value, helping your interpret the mysteries behind the geothermal features and wildlife. With well-located accommodations, an array of activities, and some of the most pristine beauty in the country, this journey through one of the most intact ecosystems in North America will leave you breathless! Hoot in the Hole: Embrace the Wild West and enjoy Jackson to the fullest! After a day on the river or the trail, unwind and dine at one of many choice local establishments and consider attending the weekly Hootenanny (yes, it's a thing!). Better, naturally: Throughout your trip, we’ll match you with the very best naturalist guides to suit your interests and personality. Our guides help you avoid crowds, see more wildlife, hike the right trails, discover the backcountry, or dive deep with you into special interests such as geology, geothermal activity, specific species, park history, current issues, or all of the above! 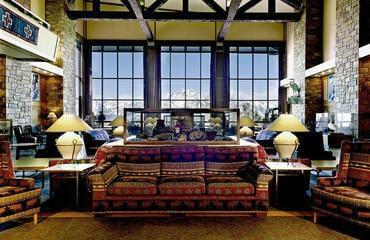 Touch down into Jackson Hole, home to Grand Teton National Park, the lively, western town of Jackson, and the famed Jackson Hole Ski Resort. Three days will fly by as you choose from a countless array of outings! Spend one day on a guided mountain bike outing through mountain meadows and through aspen groves, with the spectacular Tetons in view. Day two is a classic western horseback ride to the top of a butte. All the while, keep an eye out for bald eagles, osprey, moose, beaver, and bears. Alpine House Lodge and Cottages sits a few blocks off the Jackson Town Square, just far enough for peace and quiet and close enough for a stroll at day’s end to browse the shops and galleries and find your restaurant of choice for dinner. Wake early and embark on a First Light Float, taking you along the Snake River at a time when birdlife and wildlife are at their peak. Then drive north into the heart of Grand Teton National Park to a beautifully-set national park lodge, an excellent base for accessing the park’s abundant trails, lakes, and unmatched views! Head out on a full day, naturalist guided outing, learning about the geologic, natural, and human history, wildlife, wildflowers, and having fun all the while. Free time offers opportunities for hiking on national park trails through wildflower-filled meadows, picnicking, and stand-up paddleboarding on stunning String Lake, renting kayaks and paddling along the shoreline of Colter Bay, or taking a boat dinner cruise to Elk Island on Jackson Lake. Explore your way through Yellowstone National Park, stopping to view waterfalls, rivers, geysers, mudpots, and wildlife, with possibilities including bison, wolves, black and grizzly bears, moose, elk, bald eagles, and more! Explorer Cabins at Yellowstone near the park entrance is your base, with newly-built cabins and an easy walk to shops, restaurants, and the Grizzly and Wolf Discovery Center. On one full day, meet up with a private naturalist guide who will tailor the day to your interests, taking you “off the beaten path” in Yellowstone, adding insight and depth to your visit. On your last full day of vacation, take to the waters of Hebgen Lake on a naturalist-guided kayak outing, paddling on sparkling waters, surrounded by the Madison Mountain Range. Drive past Big Sky, through Gallatin Canyon, to Bozeman, then say “goodbye until next time,” as you lift off from Bozeman. This small inn is a long-time Off the Beaten Path favorite. Located on the bank of Flat Creek and close to the hustle and bustle of the downtown area, though tucked nicely away on a ‘no through’ street, the Alpine House Lodge and Cottages is a fantastic home away from home. Staying in the downtown area offers you the chance to stroll town on foot, check out the many fine dining options, and be in the center of the action. The Lodge offers a comfortable space where you can relax by the gardens, in the Viking Bar or in the Finnish sauna. Lodging options include 22 beautifully decorated guest rooms and 5 creek-side cottages. Staying in the park at Jackson Lake Lodge means you are sleeping next to wide expanses of fields surrounding a rich-blue mountain lake, with moose, elk, and bison wandering close by. 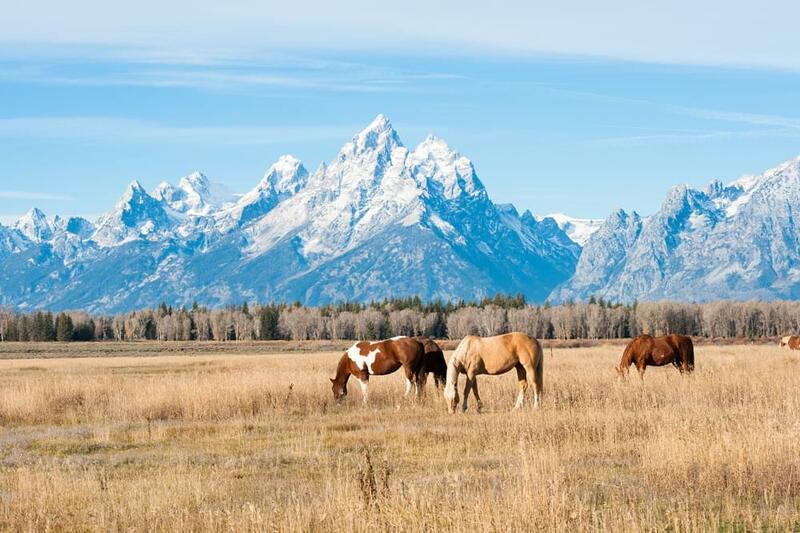 Rising above is one of the most photographed mountain ranges in the world, the Grand Tetons! 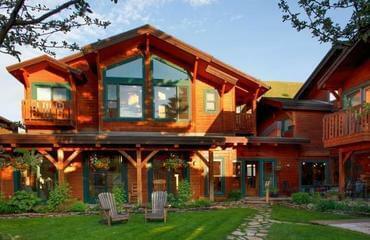 Jackson Lake Lodge is the largest of all the eco-friendly properties in Grand Teton National Park. It is centrally located and has a swimming pool for relaxing at the end of each day. There are a variety of dining options, and we recommend dining in the Mural Room at the lodge, we would be happy to secure a dinner reservation when we confirm the lodging. 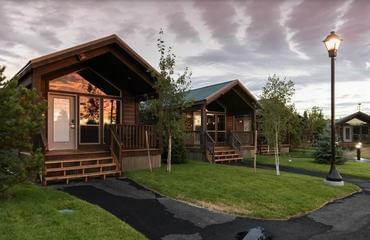 For the ultimate convenience in exploring Yellowstone Park, we suggest the Explorer Cabins at Yellowstone. Located in the heart of town and within easy walking distance to West Yellowstone's many restaurants and amenities, these cabins are a wonderful option.